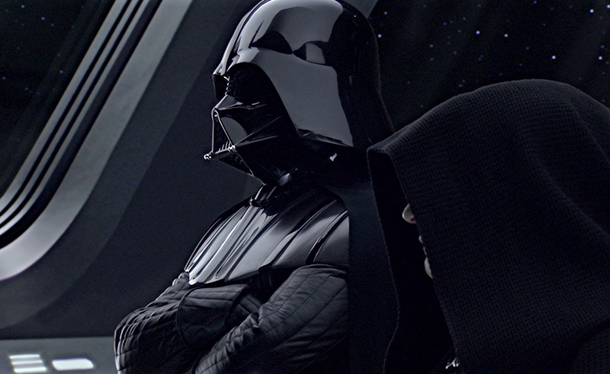 Darth Vader, the right hand of the Emperor, might have a direct stake in the events of Star Wars: Rogue One. 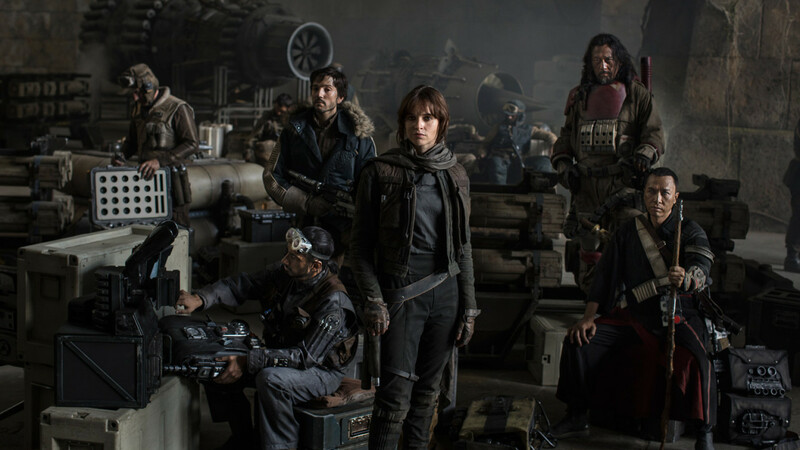 Star Wars: The Force Awakens was great fun, but now there's another film to look forward to: Rogue One. This standalone Star Wars tale will depict exactly how the Rebellion stole those Death Star plans and kicked off the events of A New Hope, which explains why Lucasfilm wants to resurrect Grand Moff Tarkin. But if new, behind-the-scenes information is accurate, Tarkin won't be the only returning villain. Darth Vader himself may have a major role in Rogue One, as will new Stormtrooper and TIE Fighter designs. Many details of Star Wars: Rogue One are still tightly under wraps, and even the sources cited don't have specifics on everything. 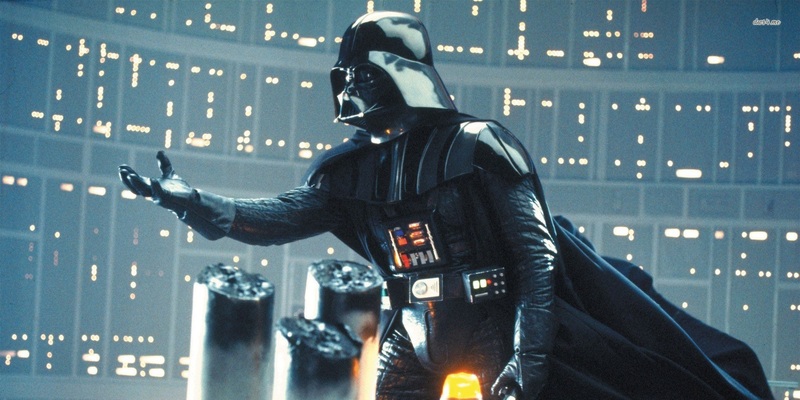 But what has been reported suggests Darth Vader has a bigger role than initial rumors first suggested. Which makes sense - Vader was already leading the search for stolen Death Star plans when A New Hope began, so investigating the thieves who actually took them is likely. But that's not all the sources are talking about. It's also believed Rogue One will introduce a new, specialized Stormtrooper type that wears black armor, referred to on th set as "Death Troopers." AT-AT Walkers will also be featured, along with a new TIE Fighter design specific to this film. On top of that, one of Rogue One's major characters is rumored to be an ex-Imperial droid who now serves the Rebels. While the actor behind this droid is unknown, sources describe it as a "show stealer". Even if all of the above is true, it's fairly vague and tells us little about Rogue One's overall story - but it's certainly enough to get fans excited as The Force Awakens winds down. Star Wars: Rogue One will reach theaters on Dec. 16, 2016. Hmm, new Tie designs are always fun. I'd like to see a close air support variant, since this film takes place before the Tie Bomber and Interceptor models were in large production. "how the Rebellion stole those Death Star plans"
"new, specialized Stormtrooper type that wears black armor"
"an ex-Imperial droid who now serves the Rebels"
As long as the Ties don't look more advanced than the ones from A New Hope and on, I'm in. I have a feeling the film's creators are already aware of the need to bridge the gap, technology-wise, rather than display all this cool stuff and leave us wondering why it's no longer being used by the events of A New Hope. I'm hoping they look less advanced, which is probably what they're going for. Give me some gear head fighter jets, with lots of grease popping out from the wings, and the parts clearly visible from beneath missing plating. Lets not have this clean and pristine fighter nonsense. I expect the imperials to have standardized looking planes, but lets have some rather filthy looking rebels. I'm tired of everything looking slick in these movies. This pretty much. Wasn't stealing the plans the first level of the game? Too bad Disney did away with all the canon, as Katarn was a pretty relevant character in the expanded universe. I could see Vader playing a decent role in the film. I would hate for him to be the main villain, though. Vader shouldn't be tricked easily by some rebels. I'd like to see him performing an inspection when someone screws up and he takes matters in his own hands. After Force choking the idiot that screwed up. 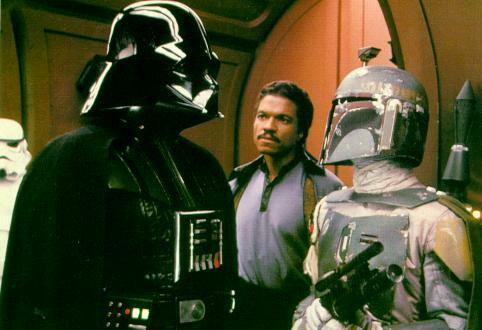 Also, James Earl Jones better return to voice him. No one else can voice Vader. He already voiced him in Rebels. Wasn't that always tentatively canon, at best? The general rule is that anything in the EU was canon unless the films contradicted it. That would be fun. But I don't think HK-47 or a droid like him would be subtle enough for a heist. From what I know, this is effectively a heist film set in the Star Wars universe. 2) Kyle Katarn's little exploit, from Dark Forces. 3) Finally, Bria Tharen lead Red Hand to Toprawa to steal even more plans. Her group is actually the one that beamed the plans to Princess Leia's ship, although none of them survived (Han Solo Trilogy). And those are just the ones I remember. I'm pretty sure there are more. Basically, the old theory was that everyone was stealing parts of the plans, and that R2's bit was the biggest piece and finally allowed them to put the whole thing together. Anyway, I'm excited to see where they take this, although I don't want them to overplay Vader too much. During this time, Vader is a terror that no one wants to face. Seeing him fooled, as someone else already pointed out, is not the way to go. Having him be the force that the group is running from in desperation, knowing full well that they have no chance, that is the way to go. Also, not sure on the new TIEs. It's already hard to accept the A-wings in Rebels. I don't want to see new TIEs showing up that never appear again. Although the Shadow Tro--I'm sorry, "Death Troopers" sounds great. Shame it won't have Kyle Katarn in it. They are already fanservice milking with the Darth Vader movie (this one), and the upcoming young Han Solo movie and rumored Boba Fett movie, so why not Kyle Katarn? Already got Shadow troopers in the movie (even if they are renaming them 'death troopers' for whatever reason) So it can't be that they have some sort of 'no EU allowed' rule in place. Looking at the costume aesthetics and design in that shot of the cast... I'm kinda worried how well it will mesh with the rest of Star Wars. 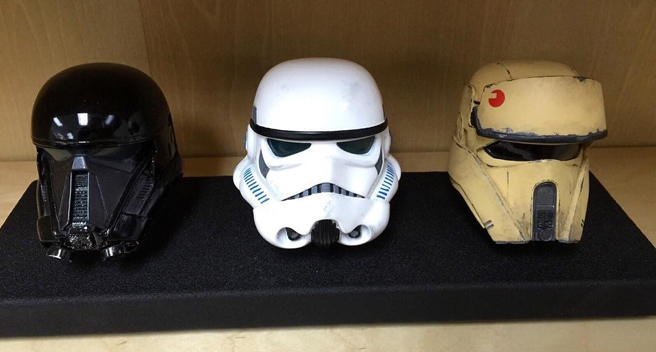 Interesting that it will have Shadow Troopers and some 'new' kind of TIE. I know it's the tend of action movies (and Disney) to escalate like mad, but you can have Z-95's and Y-Wings vs TIEs and TIE Advanceds or Yavin/Tantive 4 rebels vs normal stormtroopers and Imperial Navy troopers and have a gripping action scene.You don't need backflipping swordmasters and Rambos to make that sort of thing work. For me at least, the likes of the first Death Star battle are a lot more memorable than Poe's OTT antics in Force Awakens. So I hope they keep the action a bit more grounded. Oooh this is the one directed by Gareth Edwards too. Not gonna lie, now I'm kind of excited about this one. Even though his films so far haven't been perfect, I'll easily take something a little rough around the edges but with personality like Godzilla or Monsters over JJ Abrams' hyper polished yet lacking depth style of directing. Plus the man has excellent sense of artistic design, Godzilla had some pretty beautiful shots. And with John Knoll involved, it should be one hell of a spectacle. Plus it looks like we'll FINALLY have a Star Wars movie that doesn't revolve around the jedi and instead focuses more on the military stuff. I'd be wary about introducing too much stuff that doesn't get mentioned ever afterwards, including the death troopers. Are they literally all dead now? Or made into palpatines palace guard? I don't think there's any relation between them and the royal guard. The Royal guard were in episode III, so the predate the stormtroopers. They seem to be based off of either the Shadow Stormtroopers or Shadowtroopers (similar name, different thing) from the EU.